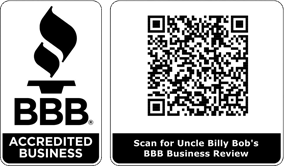 At Uncle Billy Bob’s in Garden Valley, ID, we offer fun rentals that embrace the redneck culture. From a chandelier made of wine bottles to a bathroom decorated with camouflage, our rentals are creative and fun takes on the redneck life. While we provide the place to get away to—surrounded by a host of fun activities and destinations—it’s up to you to put the redneck spin on your own vacation. Here are five musts to check off your list. Every redneck feels at home in the great outdoors. We may not care much for city life, but we can sure find our way around the woods. Whether you like strappin’ on a backpack to go for a hike or float down a river on a kayak or raft, you’ll have everything you need without the bother of any newfangled technology. After they’re done takin’ in the scenery, true rednecks like to gather round’ the trailer—and the campfire later at night—to enjoy each other’s company. Leave your iPods at home and bring along your steel-string guitar instead. When it gets too late for sing-along, you can exchange stories and jokes about simpler times. Would a redneck vacation really be complete without doin’ some huntin’? We’ve got plenty of game to hunt here in Garden Valley, ID, as well as outfitters to get you goin’. Gather up the family, load up those rifles, and see if you can add a score of your own to this cherished redneck tradition. What’s a redneck vacation without the sweet, sweet taste of the beverage that came straight from the heavens? No, we’re not talkin’ about red wine and fancy martinis. We’re talkin’ about a case of classic American beer. After all, you are on vacation. Rednecks can be health conscious too, and we don’t mind mixin’ a vegetable in here and there. But when we’re on vacation, we like to live like kings, with an array of meat that has us droolin’ buckets! Grill it, smoke it, cook it over the fire—we don’t care. While Uncle Billy Bob’s can truly be a redneck heaven, we welcome all types of friendly guests with open arms. If you’d like to enjoy the great outdoors of Idaho with a wacky and exciting spin, contact us today.